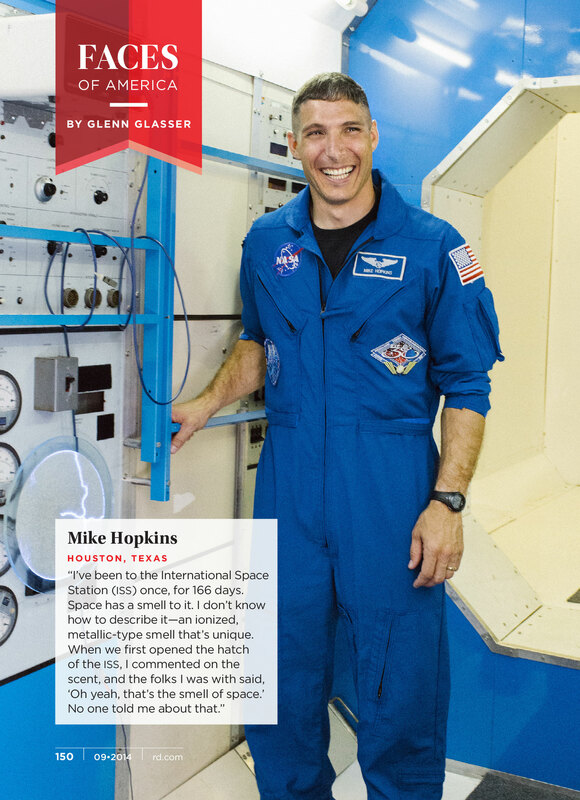 Astronaut Mike Hopkins and International Space Station Assistant Program Scientist Camille Alleyne, Ph.D., are featured in this month’s special Genius edition of the Reader's Digest series Faces of America by photojournalist Glenn Glasser. In this series, exceptional people from across the country who are considered “everyday geniuses” are recognized. 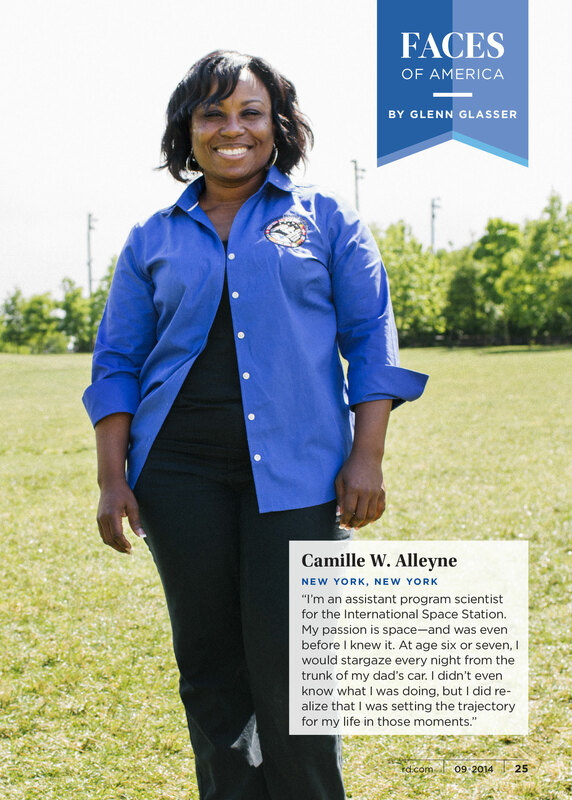 Hopkins is featured online and in the print issue (on newsstands now) and Alleyne is featured in the online version. 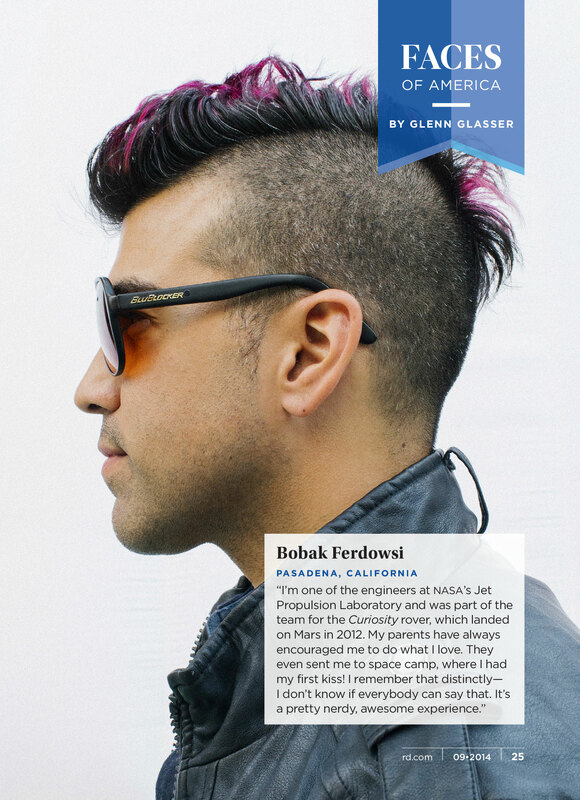 Also featured in the series is Bobak Ferdowsi, engineer at NASA’s Jet Propulsion Laboratory and of Curiosity fame. Reader’s Digest is a top 10 U.S. magazine, as well as the number one paid circulation magazine in the world.